Driven by passion Don Lombardi founded two outstanding companies many drummers wouldn’t wanna miss: Drum Workshop and DrumChannel. I had the pleasure of spending some time with a humble music lover and drum innovator. 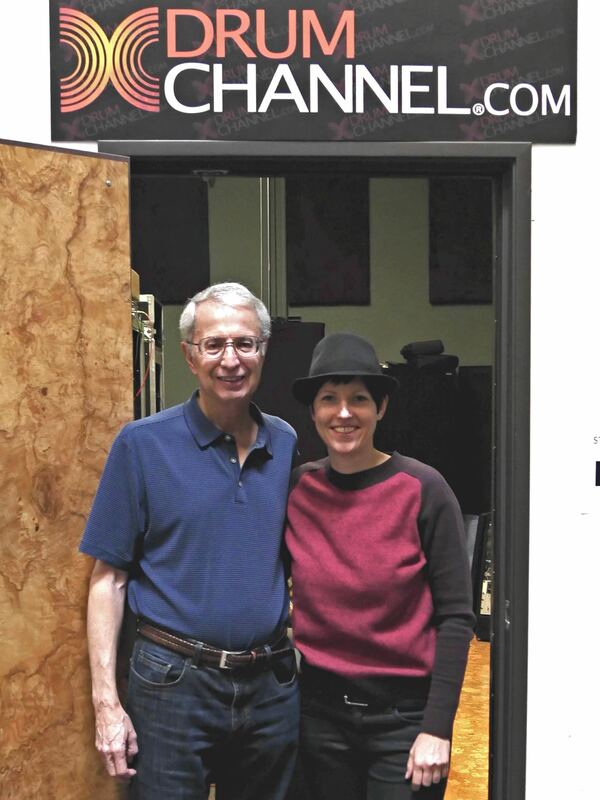 Don Lombardi and I in front of the DrumChannel control room. I was in California and I had a rental car, so why not go somewhere I hadn’t been yet? To the safest city of the USA: Oxnard! Not to see its harbour or its United States Naval Construction Forces, no. 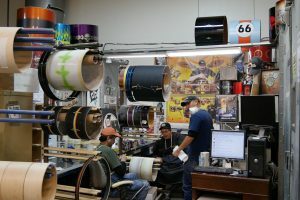 But to visit a true drum oasis: DrumChannel on the company grounds of Drum Workshop. The doors at DW are open to all visitors. Almost every Thursday at 2 pm there are tours through the showroom and the factory. Make sure, you register in advance. Luckily I had an appointment, too – with no other than the founder of both companies himself: Mister Don Lombardi. As always I had my camera with me, so you can almost see everything I saw. Don was very open and welcoming. He even showed me where their so-called artist in residence Terry Bozzio creates his magic. Unfortunately that’s a place where no cameras are allowed. I respect that of course. No secret footage from me this time. If you don’t know the DW-Story, in this video Don talks about the beginning: the transformation of the Camco pedal into the DW 5000 pedal, his functional trap case seat and about how his perfect counterpart John Good entered the scenario. If you would like to find out why Don got back into teaching, but in a very global way, watch the video, too. You’ll also find out more about the DrumChannel in general. By the way, the membership rates have not gone up since I talked to Don in the video. Signing up for a whole year and taking advantage from four new lessons a week as well as having access to 800+ videos in the archive is really only 8 $ a month. Keep in mind that the lessons are with some of the best drummers in the world. 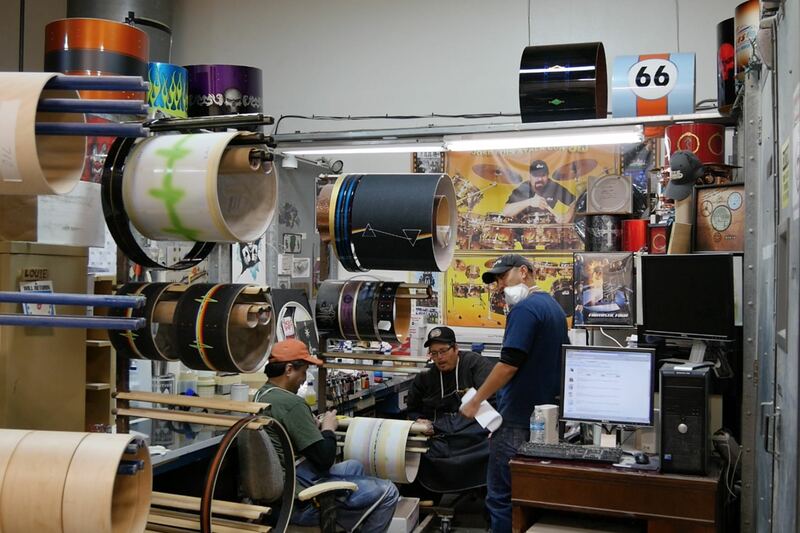 This is the place at DW where custom designs become colorful truth. When my interview with Don was over, we took the obligatory picture in front of his DrumChannel. He then asked me, if I had seen the DW factory yet. For I didn’t, Don quickly organized a one-woman-private-tour and passed me on to one of his very nice and well-informed employers. 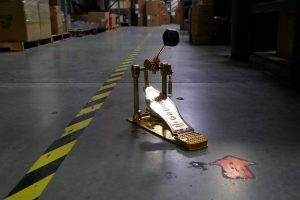 I got to hold a special edition of the classic DW5000 pedal, saw where the DW custom designs are created and left with lots of insights, my own little piece of Gretsch vintage foil and good memories about a great time at DW in California.